Food Wars! Some of you may have seen the US show on Food Network, which pits two rival eateries against each other in a taste test to see who is better. Now we have Food Wars Asia, with familiar local foods up for scrutiny. 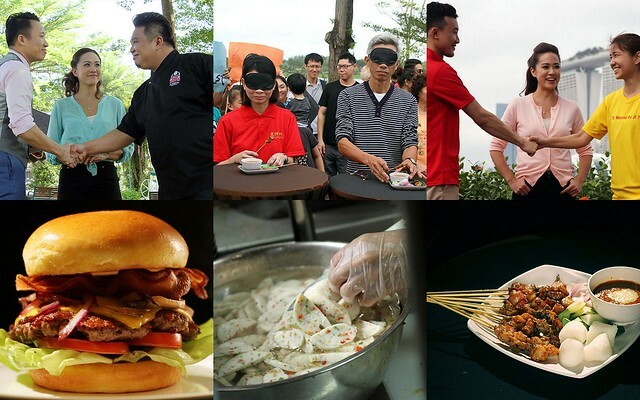 Who's got the best burger, fishball noodles and Hainanese satay in Singapore? And in Malaysia, who's got the best nasi lemak, banana leaf rice and food truck? 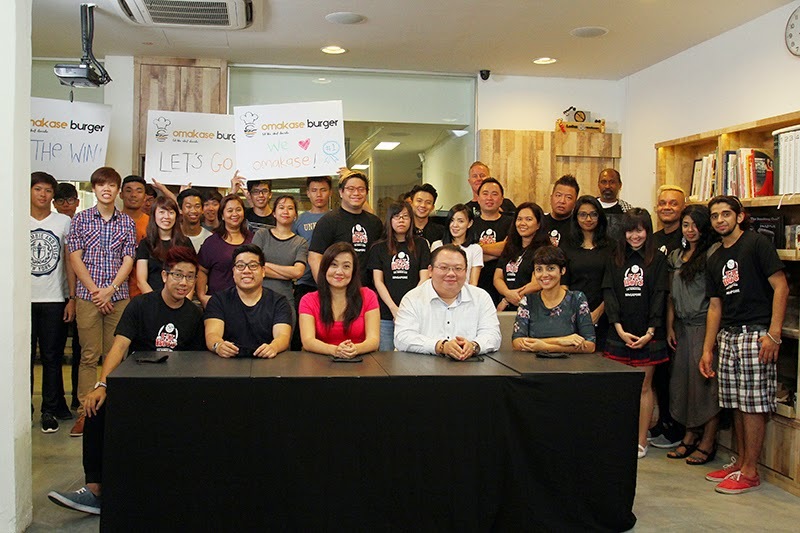 I am one of the two resident judges for the Singapore episodes, along with Chef Eric Neo. We have a rotating celebrity judge too, plus one of the eateries' biggest fans each. All five judges are all blindfolded so we can't tell where each dish is from. Or can we? The show is hosted by Michele Lean, a Malaysian with Tahitian lineage (how exotic)! Come and see Fat Boys vs Omakase Burgers duke it out tonight. Episode 2 airs 14 April and has Kwong Satay vs Wu Ke Shu, while Episode 3 on 21 April will see Fishball Story vs Ru Ji.